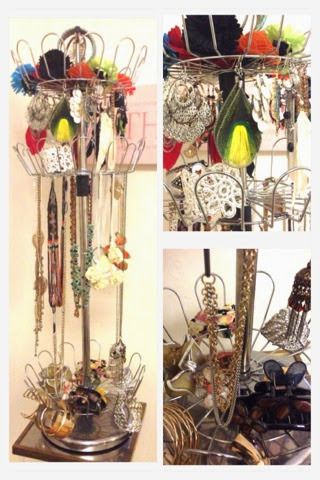 This clever idea to store my accessories on this shoe rack came about because as a shoe rack it did not work well. None the less I saw some potential and decided to re-purpose it. All I had to do was adjust the metal basket to my liking and TA-DA, in expensive storage completed. I paid about $12.00 for it at my local factory outlet, and it works way better as a jewellery storage device.